As a pillow supplier for many years, in previous blog, we introudce what should be consider for stomach sleepers to choose a right pillow. Here we want to show our new item suitable for stomach sleepers. Copper minerals are know to promote the natural growth of proteins in the skin. Soft and silky copper infused threads release copper ions when you sleep, then it can gently and naturally improving your skin. The clinically proven natural power of copper will diminish fine lines and give your skin a youthful glow. And as we know, copper infusion is anti-bacterial and non-allergenic. It meet the stomach sleepers hypoallergenic needs. At the same time,this luxurious hypoallergenic bed pillow with copper infused antimicrobial fiber and polyester mix filling providing a proper support to your head, neck & shoulders for stomach sleepers all night. 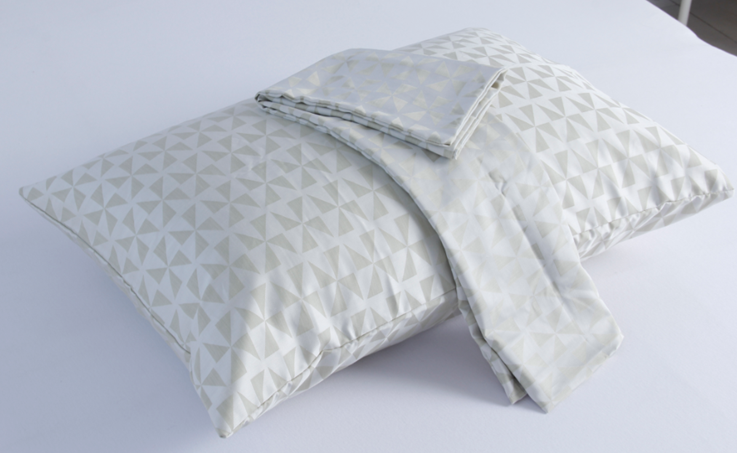 Each pillow has a matching copper infused fabric pillowcase. Since the copper is infused into each thread it cannot be washed out. So it is easy care and can be machine wash, tumble dry.To find out more about our pillow manufacturer information and our products, please visit our official blog: www.springtextile.com/blogs/ or or Spring Hometextile video channel: www.youtube.com/channel/UCMCz-yKQMYxA1e2Uscw5PHw. Any questions, please contact Fiona to get a quick feedback at: sales6@bed-ecor.com. This entry was posted in Spring Share and tagged bed pillow for stomach sleeper, bed pillow supplier, pillow manufacturer, pillow supplier by admin. Bookmark the permalink.